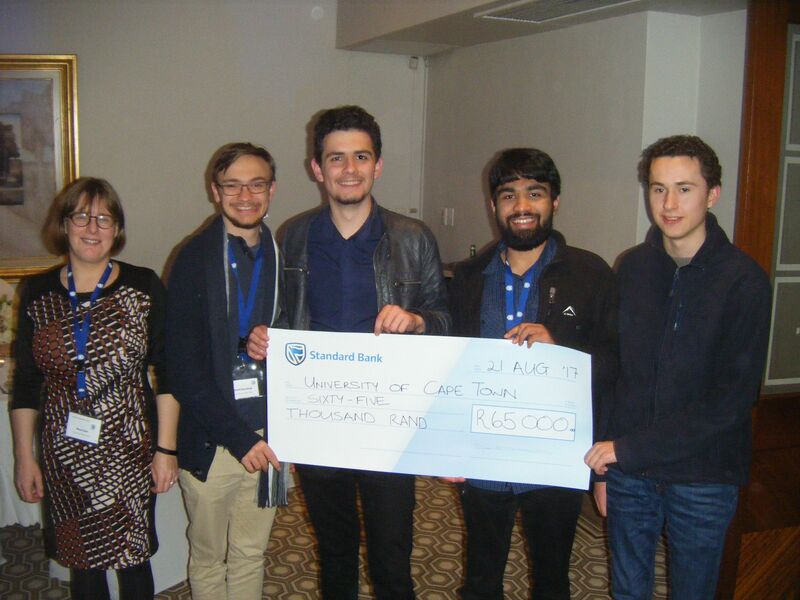 The UCT team “Inconsistent Axioms”—comprised of David Broodryk, Andrew McGregor, Yaseen Mowzer, and Bronson Rudner and who are all 1st years—was awarded 2nd place in the HashBlock coding contest of the finals of the Standard Bank Technology Impact Challenge (the successor to the IT Challenge). The students’ prize was a Dell tablet for each team member, and R65000 for the Computer Science department to support undergraduate activities. 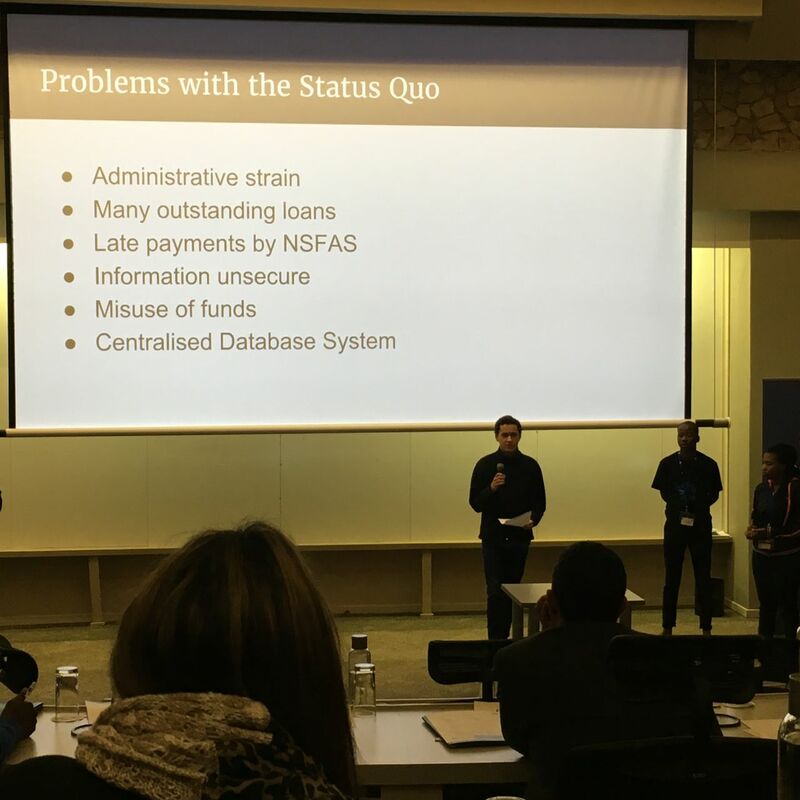 The finals were held from 18-21 August in Standard Bank’s Global Leadership Centre in Johannesburg, and saw 12 teams of 3-4 undergraduate and honours students from South African universities participate, which were selected based on their top performance in the TI Challenge Heats programming contest earlier this year (one team per university). The new format of the TI Challenge consisted of two components. The first component was the “HashBlock” with 5 coding tasks about BlockChain (a generic version of BitCoin, with smart contracts), to be solved in 5 hours. 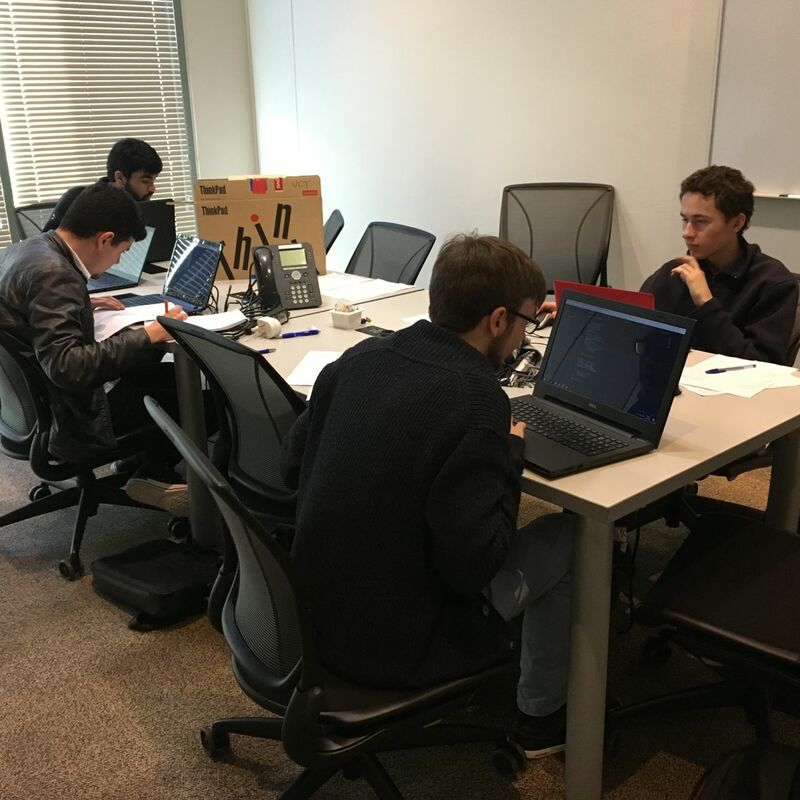 The second component was the “IdeaChain” hackathon where the 12 university teams got rearranged into 8 ad hoc teams that had to create a BlockChain app in 40 hours and pitch it to the judges on Monday afternoon. The UCT team missed first place of the HashBlock by just 1 second against UP, with Wits coming in third place, according to the judges (the new scoreboard system didn't work, so there was manual marking and no final results with points have been made available, unlike in programming contests). The IdeaChain prizes were for the reconfigured team members of the winning team, rather than a university team, and focused on a working demo with the most appealing presentation. JonJon Clark won a small prize for being the first to have solved the rubik’s cube goodie. 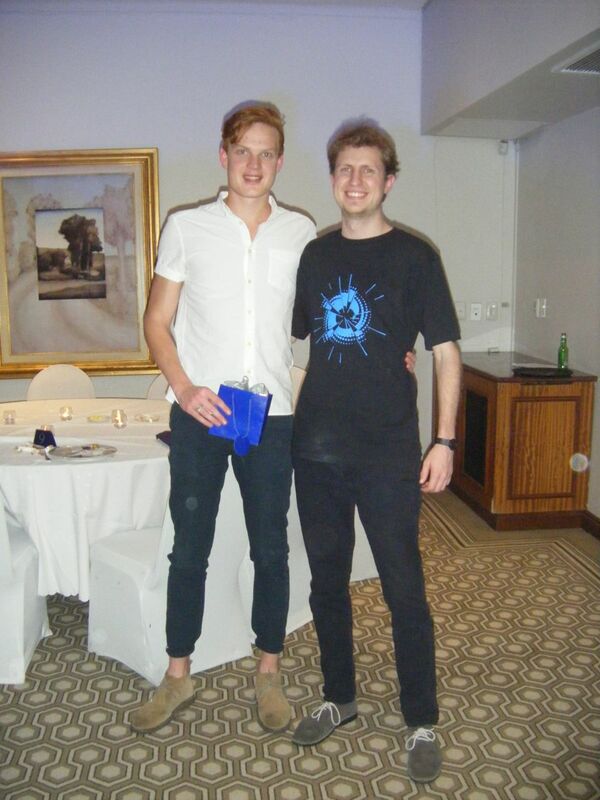 He is one of the two CS@UCT honours students who attended the finals thanks to their CS honours project topic on BlockChain.